This book is dedicated to all storekeepers and health workers working in Government of Nepal, Ministry of Health and Population's health warehouses and storerooms at Central, Regional, District, and Health Facility levels. These people are key in managing supply and distribution of Family Planning and Reproductive Health commodities, Vaccines, and Essential Drugs and making available to people around the country. The book details about strengthening each component of health logistics which is critical for any health system. The book elaborates about strengthening human resources through standard curriculum and training on different aspects of the supply chain management and focuses on logistics issues of Health Commodities Security, Forecasting, Procurement, Quality Assurance, Logistics Management Information Systems (LMIS), Distribution and Transportation, Auctioning and Disposal, Warehouse Infrastructure, Storage, and supervision and monitoring. 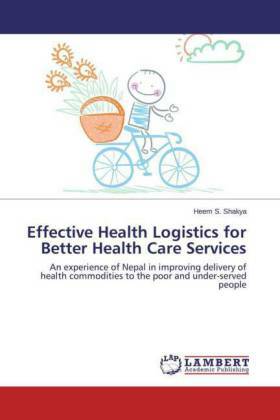 The author believes that these various logistics interventions implemented to strengthen and improve health logistics and supply chain management system in Nepal can be examples to developing and developed countries around the world.